Please prepare your manuscript according to the Corwin Author's Guide. For a downloadable PDF version of our author proposal guidelines, please click here. Corwin’s Publishing and Professional Learning Group is committed to working hand-in-hand with both new and seasoned authors and consultants to design, develop, and deliver effective professional learning solutions that empower educators and the students they teach. We firmly believe that compelling content—that which is both research-based and extremely practical—lies at the very heart of these solutions. This content has the potential to take shape in a range of modalities and to ultimately take on a life of its own, effecting real change in schools and in the communities in which they are situated. What is ideal Corwin content? What formats does Corwin content take? Corwin publishes content in many different formats depending on the nature of the specific project and the target audience. Below are some examples of our publishing formats. How is Corwin content delivered? Depending on the type of project and the publishing strategy, Corwin content may be delivered in a number of different combinations of the above formats. For example, one project may be a straightforward book project, while another may call for a facilitator’s guide to be used in a Corwin-delivered workshop, and another may be a hybrid print/digital project including a book and accompanying online video. The following guidelines provide directions for writing and submitting your content proposal. The ideal proposal presents a convincing rationale for your project. It clearly delineates your objectives and, even more importantly, explains the benefits that this content will provide to the educators you are aiming to reach. A well-developed prospectus should be brief (approximately 8-10 pages) and cover the points listed below, preferably in the order in which they are presented. Because your prospectus is the first effort on your part to convince the publisher and potential peer reviewers of your potential as an author, carefully check the spelling, grammar, and punctuation in all items you submit. If the prospectus contains typographical or grammatical errors, reviewers’ attention will be diverted from the more important consideration of content. Please use the following three-part guidelines in preparing your prospectus and keep these areas separate, as it will make it easier for us to understand your intentions for the project. Feel free to add any additional items or categories you think are necessary. What is the working title? Provide this along with 1-2 introductory paragraphs describing the proposed project, what it covers, its approach, and your purpose and goals in creating such content. Why are you creating this content? What will it accomplish? Explain the relevance of the content and how it will help meet the specific needs of educators. Why is it needed at this time? Audience. In this section, please identify and describe the audience(s) for your project in as realistic and specific a way as possible. What types of professionals would be interested in the content? Please also describe any secondary audiences who might be interested in the content and explain what you anticipate the nature and level of their interest would be. Uses. What are the intended outcomes of your project, e.g., what would the content help the audiences do, understand, improve, carry out, etc.? How would readers/users assess their growth and progress relative to these outcomes? Distinguish between the uses for individual readers and for professional development delivery or whatever other distinction is most meaningful. Funding. How is the proposed book a match for district, state, or federal funding initiatives or grant opportunities for P-12 schools? Please list appropriate funding initiatives or other funding sources. Associations. What associations or specific divisions of professional organizations or journals would be interested in your content? With which professional associations have you worked? Translations. Have any of your books been translated previously? If so, who published the translations? In what countries do you have or have had speaking engagements? In your experience, which countries have the highest potential for translation opportunities of your work? Potential Course Adoptions. In addition to being sold to individual practitioners, Corwin content is also often used in college and university courses. If your content has the potential for such use, please provide as much specific information as possible. If you are proposing a book, please include the names of any frequently taught courses for which your book might be an appropriate text, along with the approximate enrollments. Format and length. What form and format do you envision the content taking and what is the approximate length of the material? Explain how the content you are creating lends itself to this format and/or how the content may work in multiple different formats. Also please describe how this format will work with the use models described in the previous section. Approach/Style of Presentation. Does your content have a classroom-level, building-level, or system-level focus? How will the content be applicable to practice? Research Base. What is the research or experience upon which this content is built? Briefly describe any special studies or previous work you have done that is relevant to the content. Also, if relevant, please identify any research or evidence used in your work that is based on the work of other Corwin authors. Features and Benefits. How does the proposed content address major teaching, learning, and/or leadership challenges facing educators and students today? Are there any special features of the content, such as vignettes, case studies, sample classroom materials, checklists, templates, or other illustrative materials or tools that you plan to incorporate? Artwork/Design. Please explain any planned use of figures, tables, photographs, etc. If you are planning to include artwork, please specify the estimated number of graphics you plan to include. Also include any thoughts you have about the overall visual look and feel of the product. Ancillaries (include only if applicable). Ancillary content is supplemental print or online material designed to enhance the core product. Are you planning to create additional ancillary material in addition to the key content you have described? For instance, if you are proposing to write a book, do you envision an accompanying website with additional supplemental content? If so, please describe the nature of this content and explain why it would be important for the specified market. Competing or Related Works. Pick three (3) of the top competitors for your proposed content. Be frank, as this information will be given to reviewers to provide them with a comparative framework for your work. Please list the author, title, and publisher of the main competing or related products, and tell us how your product would differ, add to the conversation in your discipline, or be superior. More specifically, focus on comparing topical coverage, organization, level, writing style, pedagogy, and any other relevant similarities and differences between your project and the competitors. If there is no existing content out there that you consider to be in direct competition with your proposed work, please list examples of published content of a similar nature and note how your book would fit within the spectrum of complementary content currently on the market. Please provide an outline of the content with all part and section titles indicated. If possible, also include a few sentences about the purpose and nature of each part and section and/or a list of the specific details and examples that will fall under these parts and sections. Do not wait until your content is completed to submit the prospectus. Instead, send in your prospectus with one or two sample excerpts. If you are proposing a book project, note that we typically ask for two sample chapters to evaluate for content, style, level, etc. When we acquire projects in early stages of development, we are more able to provide editorial guidance and feedback. Of course, if the content is already complete, or nearly so, then send copies of all that is available. Along with your current working title, please suggest several alternative titles. We strive for titles that clearly communicate to all audiences the topic, purpose, and usefulness of our content. When do you expect to have your content ready? (Please be realistic in planning your schedule). Which other publishers are considering your project? What experience, background, or other qualifications do you have that make you uniquely qualified to undertake this project? What articles or books have you previously published and where? In what professional associations are you active and at which conferences do you present? Please explain and attach your vita or résumé. If you are an active consultant, please also provide details about the nature of your work. In addition, if you are interested in being considered for Corwin’s author consulting program, please include the following with your proposal: A video clip of you delivering professional development to an audience – no more than 30 minutes in length, a cover letter of interest that addresses why you want to become a consultant with Corwin, a list of at least five references, a description of the current professional development sessions you offer (including keynotes, workshops, implementation opportunities, coaching, etc. ), and client testimonials speaking to the power of your work. Corwin looks forward to receiving your proposal. Please email your proposal to only one editor, as it will expedite the response. If you have additional questions, contact us by phone at 800-233-9936. Ariel’s journey in publishing started at Anthem Press in London, and she had subsequent internships at Ellechor Publishing House and Cogitate Studios in Portland, OR. When she moved back to Southern California, she joined Corwin as an Editorial Assistant supporting the Leadership, Math, Science, STEM, Technology, and General Methods lists. As an acquisitions editor, Ariel enjoys brainstorming new ideas with her authors and finding practical resources that improve teaching and learning. When not working, you can usually find Ariel rock climbing, hiking, doing yoga, or reading with a glass of wine. Despite a classics education at Boston Latin High and the University of Massachusetts, Arnis found himself tending bar and roofing after his teaching position at Falmouth High School fell victim to a statewide budget cut. Winter and roofing were not a great fit so he interviewed as a temporary sales representative at Little, Brown and Company and relocated to Chicago. His publishing career has spanned sales, sales management, and editorial positions at college publishers such as Little/Brown, West and Allyn & Bacon. In his last position, he edited textbooks in the Educational Psychology, Leadership, and Technology areas for Allyn & Bacon. Aside from sweating blood for his authors, Arnis' interests run mostly to outdoor sports such as biking, hiking, and fly-fishing. 25 years after leaving Boston, Arnis remains to this day a diehard Red Sox fan. Dan was born and bred in New Haven, Connecticut and is a product of the New Haven public school system. He has a B.A. from McGill University in Montreal Canada. Dan lived in New York City for more than a decade after college and began his publishing career in 1984 at Random House. This was followed by editorial stints at McGraw-Hill and Thomson/Wadsworth (now Cengage). Prior to Corwin, he served as Education and Social Work Editor for Wadsworth. In 1989, he migrated to San Francisco and never looked back. Aside from reading and writing, Dan's passions are the arts (especially theater), travel, and social justice. A “Bay Area gal” in her heart, Erin was born in San Francisco and raised in San Jose, California. After stints living in Paris and Connecticut, she returned to the Bay Area and rooted herself and her family in the East Bay town of Castro Valley. Erin joined the Corwin editorial team in October 2014 as Acquisitions Editor for Math, Science, STEM, and General Methods. 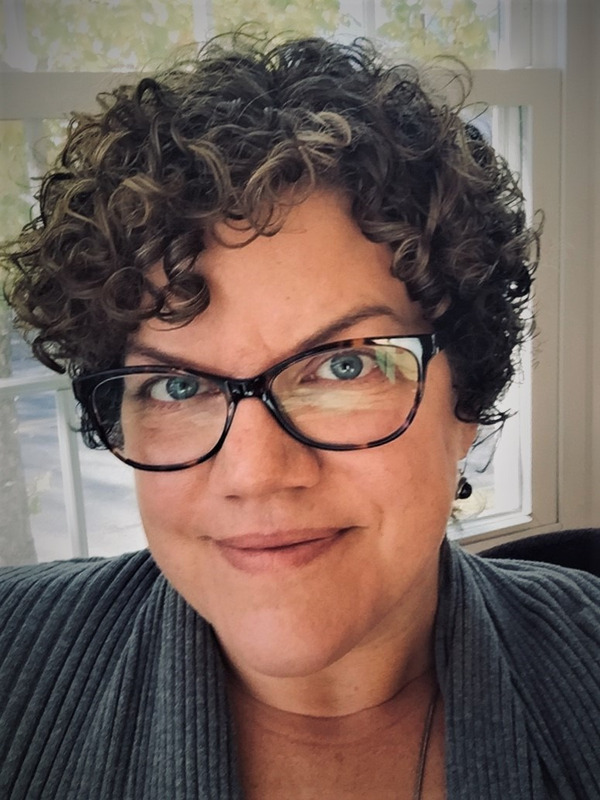 Erin’s publishing experience began in 2003 in production and marketing, and she enjoyed nine years as an acquisitions editor at Jossey-Bass/Wiley. Her skill and experience lie not just in developing print and digital books and journals, but also training and development tools; online assessments; and online and hybrid workshops, seminars, conferences, and certification programs. Erin has a deep passion for helping young people reach their potential. Erin attended University of California, Davis, and is now happily married to her college sweetheart, Jeff, and they have two precocious children: Hannah and Logan. Back when Erin had spare time, she loved to read, travel, and is still an obsessive gourmand. Jessica was born in the UK and lived in Australia, Arizona, Wisconsin, Maryland, Virginia, and New York before settling (for now) in New Jersey. She attended the University of Richmond, taught high school English in France, and then began her career in publishing at Random House while earning an M.A. in Literature from NYU. Jessica worked in production for Callaway and Scholastic before moving to Brookes Publishing and acquiring books in the areas of literacy, learning disabilities, and mental health. She joined Corwin in 2007 and feels privileged to work with such dedicated professionals - both colleagues and authors. Jessica has two school-aged boys and frequently tests out her authors’ strategies on them. Her husband works in publishing as well, so they own a lot of bookcases. She is a passionate reader and is outside as much as possible, running, hiking, and traveling. She also spends a lot of time in the theatre watching her kids perform. As the child of teachers and grandchild of a middle-school principal, Tori’s commitment to education and educators started early in life – in fact, she’s been attending teachers’ conferences since she could walk! Tori joined the Corwin team in 2017, bringing experience in editorial, marketing, and event planning from previous careers at the International Literacy Association (ILA) and Stenhouse Publishers. She loves her work supporting sharp, passionate educators through each part of the idea-generating, writing, and publishing process—and beyond—to help them bring their best ideas into the world. When she’s not reading education blogs, scribbling in notebooks, or lurking in Twitter edu-chats, Tori’s most likely to be found outdoors: hiking, kayaking, playing basketball in the backyard with her sons, or simply reading a book while perched on a rock on her beloved Maine coastline. A life-long New Englander, Lisa was born in Connecticut, raised in Maine, and went to college in Vermont and New Hampshire. Armed with a BA in English and a masters degree in teaching secondary English, she taught high school in Maine, became a sales representative for Macmillan’s college division, and taught high school English in an IB program in Slovenia, but she landed her dream job—as an editor for Heinemann’s secondary and college English lists—in 1997. After thirteen years there, she landed her second dream job—as Publisher of Literacy for Corwin. Lisa’s first young adult novel, Smashed, will be published by Simon & Schuster in August 2012. She lives in New Hampshire with her husband and young daughter where they hike, ski, swim, and hang out at their local bookstore, The Toadstool.